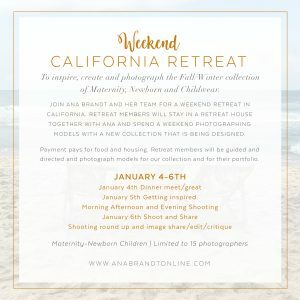 Ana Brandt is bringing her family and will be renting a very large home for the workshop. We will work in natural light and studio light. Ana is bringing her own Profoto lights to the workshop! Morning – NEWBORNS – at least 2 maybe 3! Students will learn prop posing, basket posing, working with wreaths and more. 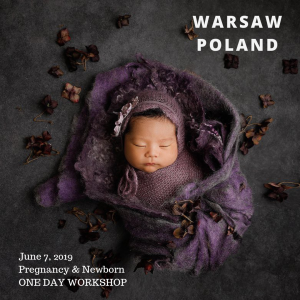 Weather provided we can do outdoor newborn.